Home News Events Registration open for historic real estate finance training in W.Va. 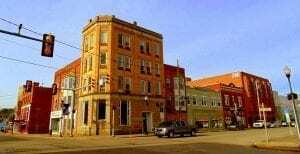 Historic buildings in Spencer, W.Va. The National Development Council will host the first of a two-part Historic Real Estate Finance Professional Certification series to Fairmont State University May 8-12, 2017, according to a press release from the Preservation Alliance of West Virginia. The five-day course offers a step-by-step look at the real estate development process from the perspective of lenders, developers and investors, according to the release. Through case studies taken from real projects, participants will analyze real estate development projects—including retail, office, residential, mixed-use projects—using the rates-of-return required by lenders, developers, and investors and will be taught to determine the appropriate amount of public sector financing needed to make projects feasible. Public sector financing tools and techniques (including Rehabilitation Tax Credits), which are designed to attract, leverage, and complement private financing, are used to maximize equity while minimizing the amount of public investment. Specific topics include the real estate financing process, capitalization rates, measuring equity attracted and cash-on-cash rate of return, quantifying the financing gap, and appraisals. The course will be hosted at the Falcon Center on Fairmont State. Its cost is $250 when using the discount code: BBTHRE247WV. Register Here! The course is sponsored by BB&T, the Preservation Alliance of West Virginia, and the National Trust for Historic Preservation.